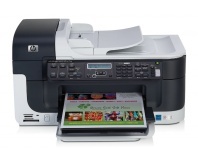 HP's ePrint range of web-connected printers will include adverts in its auto generated content. The Results: Which Tech CEO would you fire? Today’s PlayStation 3 firmware update adds PS1, PS2 and DVD upscaling to 1080p, along with a couple of quirky feature additions. Kodak is set to make printing cheap again with ink starting at just $10.